Gain arising on the transfer of short-term capital asset. Gain arising on the transfer of long-term capital asset. There is a need to make the distinction between short-term and long-term capital gain as short-term capital gain like any other incomes is taxable at normal rate of income-tax, whereas long-term capital gain is taxed at a concessional rate. A capital asset held by an assessee for Not more than 36 months immediately preceding the date of its transfer is known as a short term capital asset. An immovable property being land and building or both. Hence, if unlisted share or immovable property is transferred after 24 months from the date of its acquisition, the gain arising from the transfer of share or immovable property shall be treated as long-term capital gain. It means a capital asset which is not a short-term capital asset. 3. 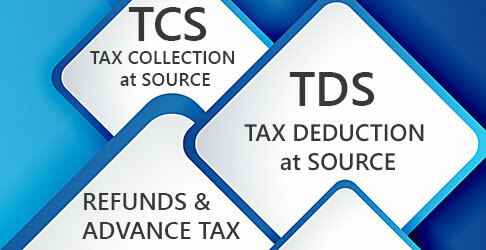 Computation of Tax on Short-Term Capital Gain if Security Transaction Tax (STT) is applicable (Section 111A). On the balance amount of the total income — Special Rates or Normal as applicable. For the purpose of short-term capital gain, the period of holding in this case of a unit of a business trust shall be 36 months instead of 12 months. Deductions under sections 80C to 80U are not available in respect of short-term capital gain, if securities transaction tax is applicable. Short-term capital gain (where securities transaction tax is applicable) is taxable at the rate of 15% . The entire amount is taxable at 15% (no exemption limit). After deducting the aforesaid amount, the balance amount of short-term capital gain is chargeable to tax at the rate of 15% [+ SC + HEC]. In this case, Mr. Clean is a resident individual. His exemption limit is Rs. 2,50,000. Taxable income (minus short-term capital gain subject to securities transaction tax) is Rs. 2,43,000. It is less than exemption limit. In this case, the short-term capital gain chargeable to tax will be Rs. 17,000 (i.e., Rs. 24,000 – Rs. 7,000). - If Securities Transaction Tax is not applicable, short-term capital gain is taxable like any other income (no special rate). Long-Term Capital Gain is Taxable at a Flat Rate of 20% [+ SC + HEC]. However, Long-Term Capital Gain in the hands of Non-Residents under Section 115AB, 115AC, 115AD or 115E is Taxable at the Rate of 10% [+ SC + HEC]. 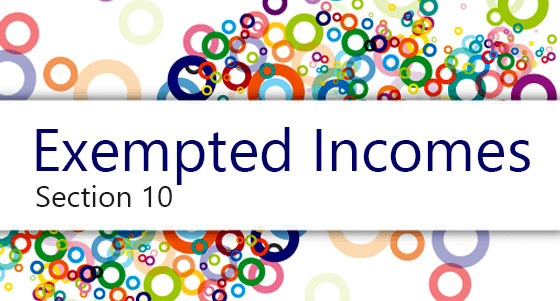 Deductions under sections 80C to 80U are not available in respect of long-term capital gain. Long-term capital gain is taxable at the rate of 20% (in some cases 10%). The entire amount is taxable at these rates (no exemption limit). After deducting the aforesaid amount, the balance amount of long-term capital gain is chargeable to tax at the rate of 20% or 10% [+ SC + HEC]. Long-term capital gain in the hands of a non-resident/foreign company is taxable at the rate of 10% [+ SC + HEC], if such gain arises on transfer of unlisted securities or unlisted shares in a company in which the public are not substantially interested. However, this rule is applicable only if the indexation benefit is not claimed and capital gain is calculated without giving effect to the first proviso to section 48 (under this proviso capital gain is calculated in foreign currency if a few conditions are satisfied). Moreover, in the case of any taxpayer if listed securities (i.e., shares, bonds, debentures, Government securities) or zero coupon bonds are transferred and the taxpayer does not avail the benefit of indexation, he can pay tax at the rate of 10% [+ SC + HEC]. In other words, in the case of these securities, etc., the taxpayer has an option. 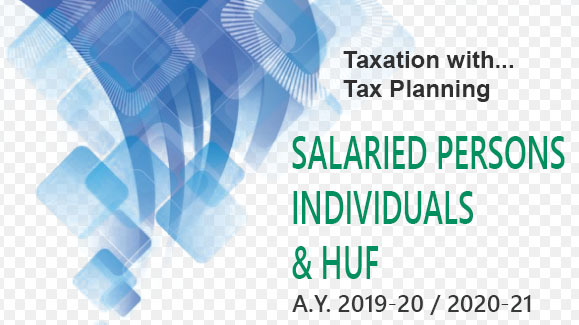 He can pay tax at the rate of 20% [+ SC + HEC], if indexation benefit is claimed or at the rate of 10% [+ SC + HEC], if indexation benefit is not taken. In the case of debentures, indexation benefit is not otherwise available. Consequently, if debentures (long-term) are listed, one should opt for 10% Rate. In the case of transfer of bonus shares, cost of acquisition is generally zero. One should opt for 10% Rate if bonus shares are long-term capital assets and are listed.